Prepare to drink in this week’s foodie news, which we’re gonna go ahead and call boozy news. You’ll see why. Grape news everyone – Brisbane is about to welcome its first micro winery to the family! City Winery is set to add some sparkle to the vino scene come November. A fully functioning winery, cellar door and function space will grace Newstead (and all of us) with homegrown wine worth writing to the rest of the country about. Until then, the team behind the dream (Adam Penberthy and Dave Crush), are showcasing their wine in Teneriffe newbie, Carl’s. Pop in for a drop. Get up, The Stand up. Sip your way from fitness femme fatale to lady of the night with the brand new daytime juice bar turned cocktail bar by night. It’ll be making its way to recently opened dining and retail precinct in Fortitude Valley, California Lane, for a juicy addition to your social go-to’s. 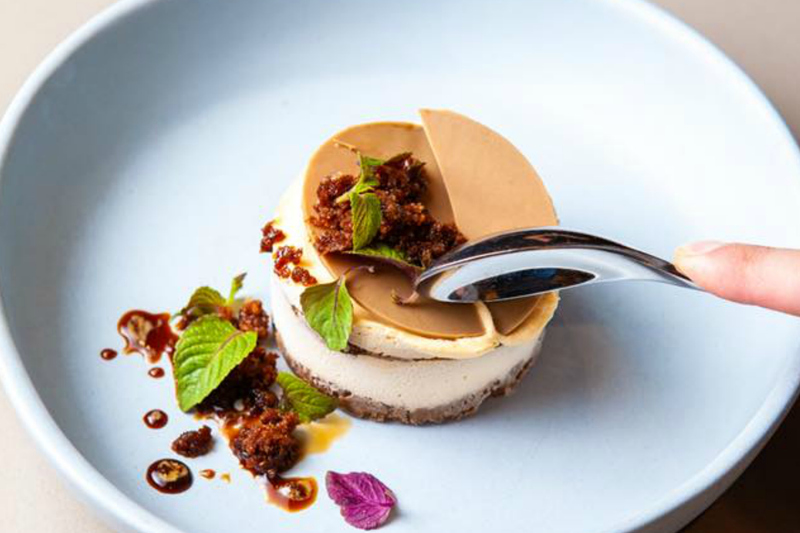 Brisbane restaurateur, Nick Pinn, has had a few wins in the works: firstly, hyped up Indian restaurant and bar, Heritij, has opened in Brisbane Quarter, with Michelin-starred chef Manjunath Mural at the helm. Word on the street is that Nick’s set to open a second Indian-influenced eatery on the Gold Coast, so brace yourself for a post beach food baby. Prepare to be tickled pink by Rosé Revolution – an annual celebration of blushing wine for a very good cause. Each year, a wholesome charity is selected and gets backed by the proceeds from a delightfully boozy bash. Set for Saturday December 1 this year, an afternoon of sips, canapés, music and good times are imminent. Be sure to stop and smell the rosé. Le’go, e’cco bistro. Acclaimed chef, Josue Lopez, will be joining forces with Philip Johnson and Gert Pretorius to create an artistic celebration of contemporary Australian cuisine. On Tuesday October 16, diners will be showered with a glass of champagne on arrival, followed by a five course menu and amuse bouche, with optional wine pairings. Sounds good, no? Hit the road, jacaranda. Jacaranda Gin Festival will be blossoming at Welcome to Bowen Hills on Saturday October 20. Thanks to Swill Gin Bar, guests will be treated to premium gin from our shores to an international selection, along with food trucks, live entertainment, and discussions with figures from the gin industry. Got something delicious to share? Drop us a line at editor@gourmandandgourmet.com.au and let us in on the secret.